for her girls for Valentine's Day. And when she asked if I would like to create some free printables to share with all of you, I just couldn't resist! I think they are the perfect way so say 'I love you' to your little ones and thought her ideas were just as clever as can be. 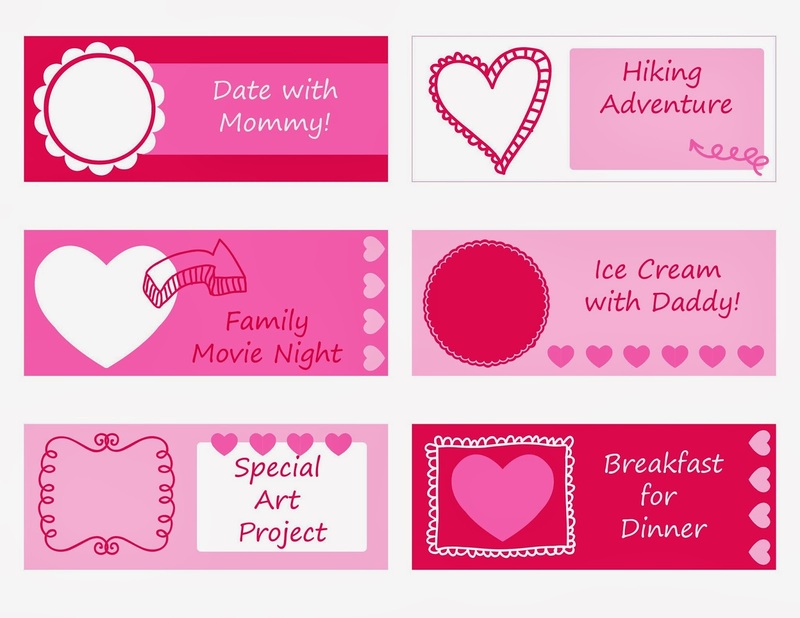 Because really, after school parties and gifts from friends, our kids really don't need another box of conversation hearts from us, and I love that these ideas are all about spending time and doing something new or fun together. Here are a few of the coupons for you to print. Just click on the picture and it will take you to the link! Or, if you'd like to fill in your own message here are some left blank. 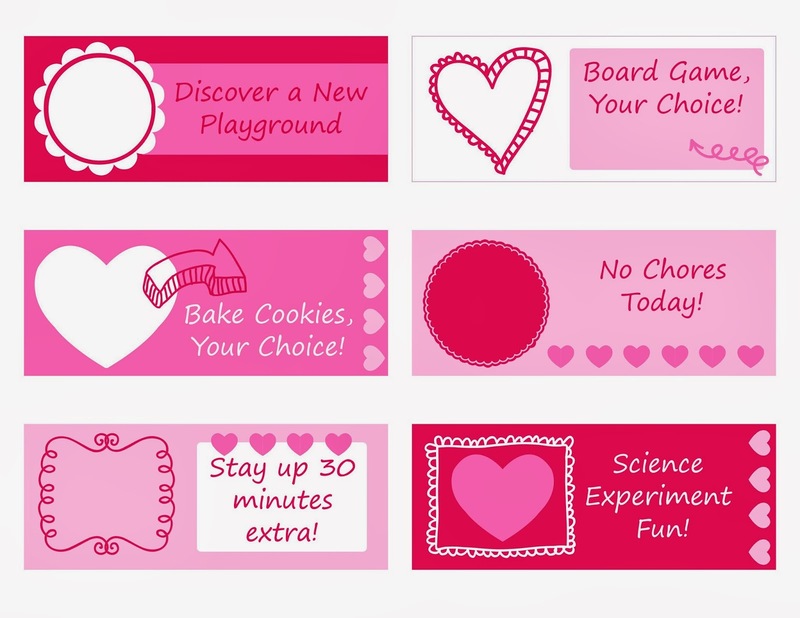 Or, let your kids think of fun coupon ideas to give to each other or a parent. I also thought these would work great as gift tags- just put the name on the left and a sweet little valentines day message on the right- or however you like! Hope you all have a wonderful Valentine's Day and Enjoy! Printing now so I don't forget. My 3rd grade daughter is going to LOVE this.